Gwendolen Gross grew up in Newton, Massachusetts. She graduated from Oberlin College, where she studied science writing and voice performance. She spent a semester in Australia with a field studies program, studying spectacled fruit bats in the rainforest remnants of Northern Queensland. After college, Ms. Gross moved to San Francisco, then San Diego, where she worked in publishing, as well as performing with the San Diego Opera Chorus. 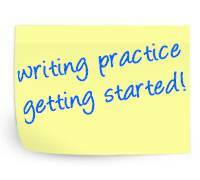 Through the San Diego Writing Center, she was selected for the PEN West Emerging Writers Fellowship. 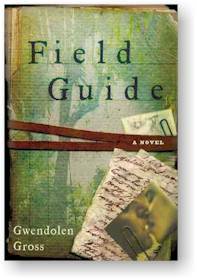 Then returning to the east coast, Gwendolen studied fiction and poetry at Sarah Lawrence College where she received a Masters in Fine Arts. Ms. Gross has worked as a snake and kinkajou demonstrator, naturalist, opera singer, editor, and mom. She now lives in northern New Jersey with her family. Ms. Gross then shifted her focus to the dramas of motherhood. Her most recent novel, The Other Mother, was released in August 2007 by Random House, and is rated 4.5 out of 5.0 stars on Amazon.com. Booklist says that this new motherhood novel “paints an electrifyingly complex and explosively gripping portrait of contemporary, have-it-all motherhood,” while National Public Radio calls The Other Mother “a thoughtful, multi-faceted look at what divides and unites mothers.” The Other Mother was selected as a best Jersey book of 2007 by Jersey Writers, a best book of the year by the RoleMommy blog, and a book of the week on Amazon. 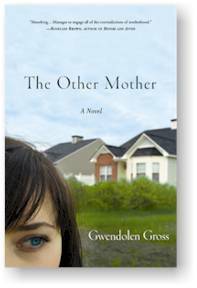 Read more book reviews at The Other Mother: A Novel website. In addition to her novels, Ms. Gross has published poems and stories in dozens of literary magazines including Salt Hill Journal, Global City Review, The Laurel Review, and Hubbub, where her poem was selected for the 1999 Adrienne Lee Award. She has also published essays in collections including It's A Boy: Women Writers on Raising Sons and It's A Girl: Women Writers on Raising Daughters. 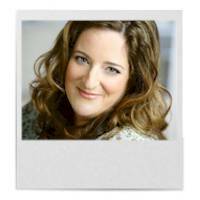 Gwendolen is also a regular contributor to the New Jersey Moms Blog. Ms. Gross is also an award-winning writing instructor and has led workshops at Sarah Lawrence College and the UCLA Extension Writers Program. Her guest lectures include appearances at the Fashion Institute of Technology, at Barnes and Noble's Educator's Night, and at The World's Largest Writing Workshop. You can read interviews with Gwendolen Gross at: Today's Mama interviews Gwendolen Gross, Virtual Wordsmith interviews Gwendolen Gross, The Urban Muse interviews Gwendolen Gross, Work It, Mom! interviews Gwendolen Gross, and Snapshot interviews Gwendolen Gross. Gwendolen Gross is listed in the University of Pennsylvania's Celebration of Women Writers, is featured as a New Jersey writer in "Jersey Blogs," and included in the Arts: Literature: World Literature: American: 21st Century section of the Open Directory Project (DMOZ) and Best of the Web (BOTW). 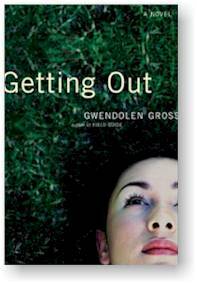 Additional biographical information about Gwendolen Gross is available at: the Library of Congress, Random House, Poets and Writers: Directory of Writers, the WorldCat listing for Gwendolen Gross, and the Dunow, Carlson, and Lerner Literary Agency.